Editor Tim Leavitt is an Emmy-nominated editing ninja. He also edited Office Ninja. Check him out on last week's PTMG Podcast on YouTube or audio. 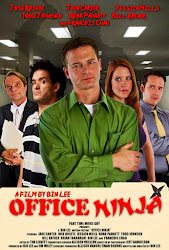 Don't forget to download Office Ninja on iTunes! Leave ratings and comments!